Moscow is an enormous and gorgeous city, with endless sights to see. Travel Russia by coach, bus or train! In Part 1 of the Russian land tours, we showed you the 5 star hotel options, but that’s not the only way to travel. There are numerous tours that allow for not only less expenditure, but also a more casual way to experience Russia’s infinite treasures. People are all looking different kinds of tours, and in the Russian land tour section, the best for young at heart and under 35 are the following tours, all offered by MilesAway Travel. Have a read through them and send us an enquiry, we’ll get you started and give you expert advice on which suits your needs. Pay only R5000 deposit until 27 December 2012 to qualify for 10% discount. Pay for your tour in full and get 15% off any chosen tour. This is a special tour which allows young folk to experience not two, but three top Russian cities! You’ll get a Tour Manager to take your around and get you more acquainted with all kinds of Russian culture. There is always a large group of people on such tours, and from the first evening there is a dinner to get to know each other. Russia is a vast country and generally speaking, St Petersburg and Moscow are the most visited cities. However, this tour gives you the chance to see Novgorod too, another large city, but far less travelled and a super badge on your travel blazer. Sights in all three cities are very pretty and even the museums are far from boring. Almost all the sights also allow for viewing at your own pace. This is a Kontiki tour, and these tours are very well known for having amazing fun and making lots of new friends. Russia is definitely no exception. 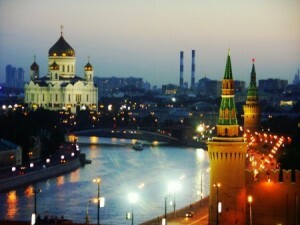 Tours to Moscow, St Petersburg, Novgorod, Minsk and more! This amazing student tour combines 6 countries and even a night on a cruise boat! Starting in Stockholm, Sweden, you’ll make your way to the Finnish capital, Helsinki, and then head to colourful cities in the former Soviet Union – St Petersburg, Moscow, Novgorod and Minsk! All in all, you’ll travel to Sweden, Finland, Russia, Belarus, Poland and Germany, all the while having the time of your life. Tour through the whole of Scandinavia and then 4 great Russian cities too! For a whopping 22 days, this tour takes you into Russia and many more countries – what an experience! In fact, you’ll see Germany, Denmark, Norway, Sweden, Finland, Russia, Belarus and Poland. Do we need to tell you that this means an unforgettable experience and an amazing trip into the North? Thought not. Travel with new friends through Copenhagen, Oslo, Stockholm, Helsinki, on to Russia and then back again to Warsaw. This promises to be the best 22 days of your life! If you’re still young at heart, but not that young, there’s still the awesome escorted tour with a Russian guide through the top two cities Russia has to offer travelers in terms of sightseeing: Moscow and St Petersburg. Discover the best of Russia on this holiday which focuses on the old and new capitals. And we’ll leave you to discover which is which! Start in Moscow, Russia’s current capital, and enjoy a sightseeing tour of the Red Square, the Kremlin and one of the cathedrals, as well as a short ride on the world renowned Moscow Metro to see the famous underground stations. you’ll then travel to St. Petersburg, the magnificent city built by Peter the Great. A local guide will show you the city’s highlights on the included sightseeing tour. And finally you get to enjoy a visit to the Hermitage Museum in the Winter Palace, a masterpiece of baroque architecture and home to a collection of precious paintings. For this tour, you can receive a 5% discount by booking through MilesAway. That’s it! You’ve got some much to choose from, and Russia awaits you, whether you are young or old, and whether you wish to see sights, museums, nightlife or simply cruise the Russian rivers.